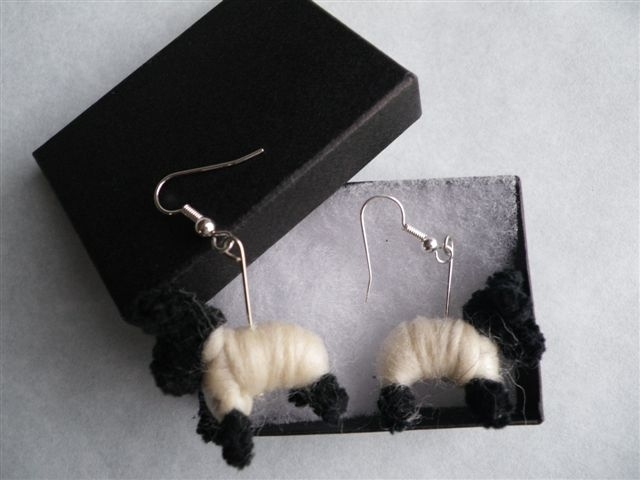 The following items are available for purchase on-line. Please contact us for details of our entire range or if you have any specific requirements. For shops interested in selling our products please contact www.cardtoons.co.uk who are our UK distributor. 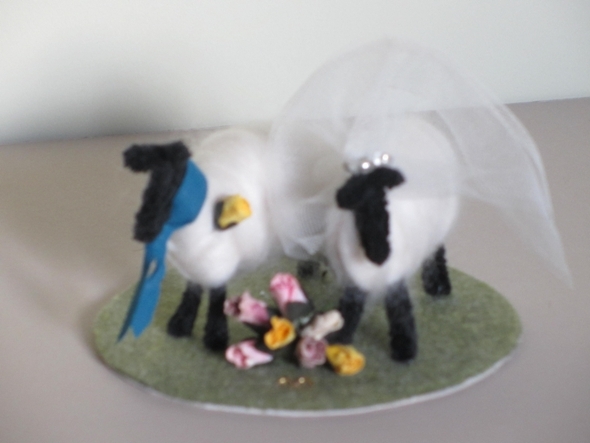 Bride and Groom Sheep made from British wool, complete with veil, bouquet and wedding rings, on a 10 cm base ready to sit on top of your wedding cake. Groom has tie and buttonhole. 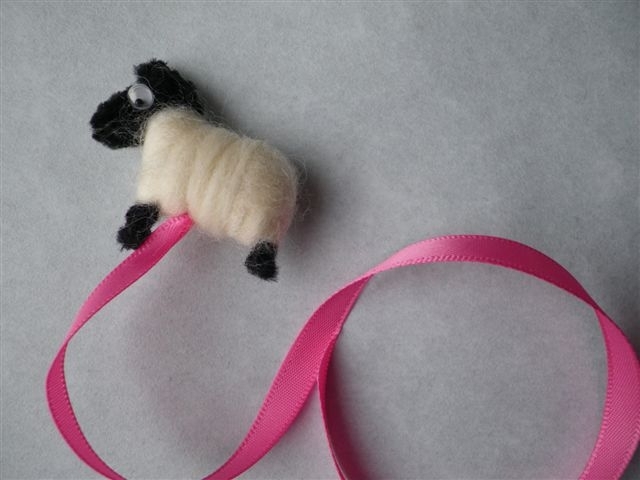 Individually made by hand so will be personalised to match the colour scheme of your special day. 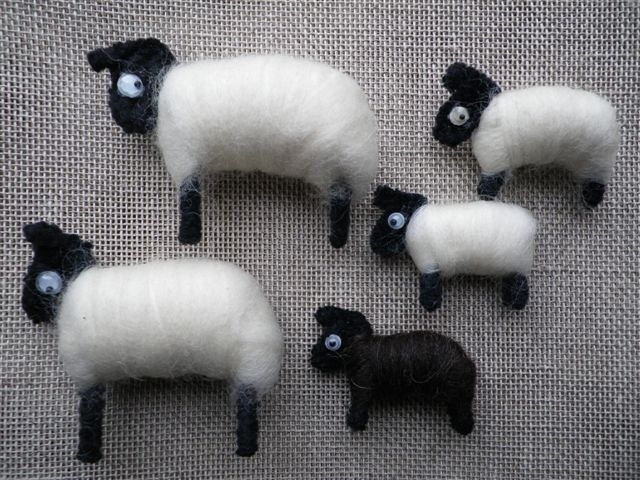 2 larger sheep with 3 small sheep including one small black sheep, rest black faced, unless otherwise requested. 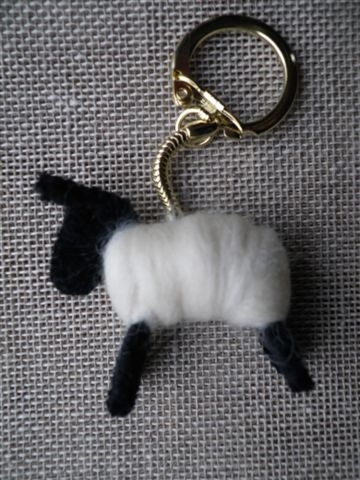 Black, white or black faced on key rings. 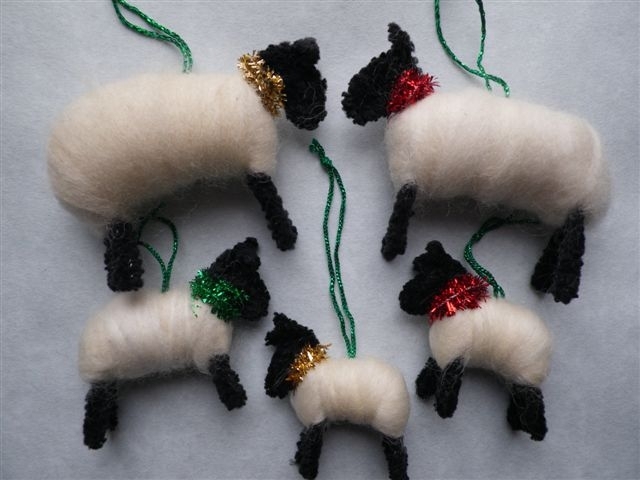 2 larger sheep as above plus 3 small sheep all are black faced unless otherwise requested. Black, black faced, green, blue, pink, red, yellow. Beads may vary. 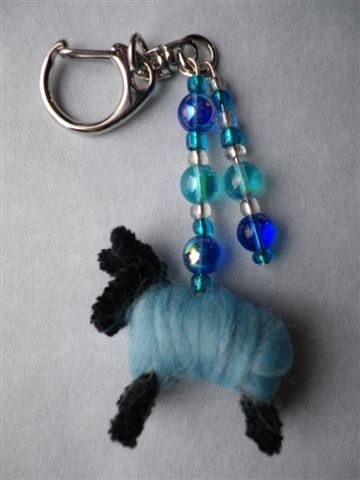 Tiny sheep with beads to attach to handbag. 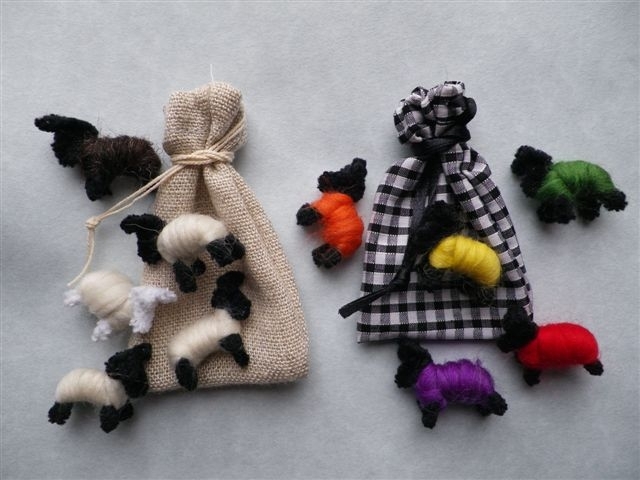 Black, black faced, pink, blue, purple, red. Beads may vary. 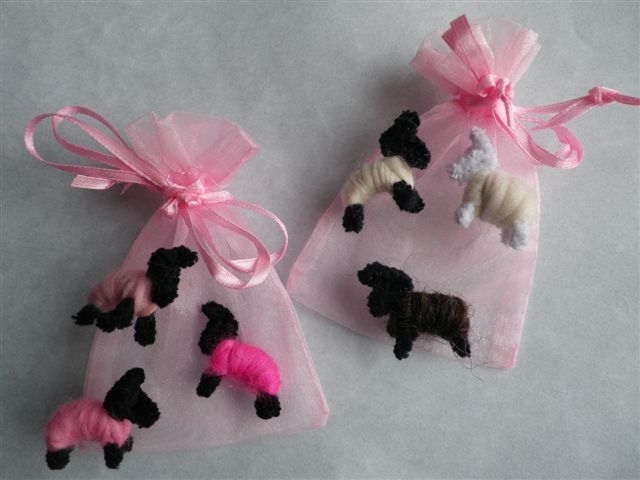 3 sheep (one for each wish) in an organza bag.